MSN united against Barca board in cold war! 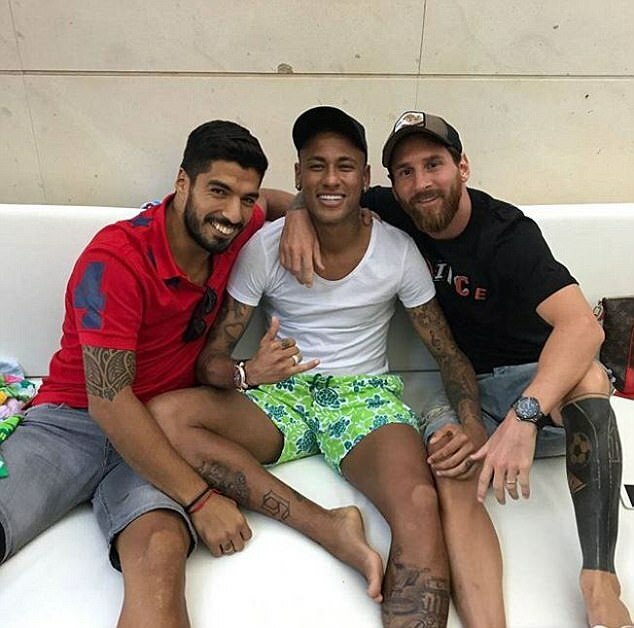 The cold war between the Barcelona board and the Barca dressing room intensified on Tuesday night when Lionel Messi published pictures of himself with Neymar on social media, just hours after the club confirmed they were suing the Brazilian forward. ‘He’s back’ read Messi’s message below a photograph taken at the birthday celebration of Neymar’s son Davi Lucca in Catalonia on Tuesday. The message was a joke at Gerard Pique’s expense, made in reference to Pique’s famous ‘he stays’ tweet. But the Instagram post was also aimed at the Barcelona board who just hours earlier had confirmed they were taking Neymar to court following his record-breaking move to Paris-Saint Germain. The club issued a statement on Tuesday confirming they had filed a demand for damages against Neymar for failure to honour the contract renewal he signed last year. 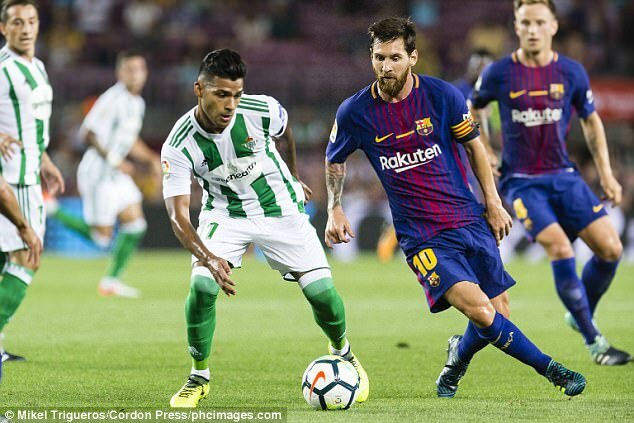 Barcelona made the claim at a Barcelona labour court on August 11, and sent confirmation of it to the Spanish Football Federation on Tuesday requesting they pass it on to the French Football Federation and FIFA. The French side responded in kind with their own statement, which read: ‘Paris Saint-Germain was surprised to learn of the press release issued today by FC Barcelona announcing the introduction of legal proceedings in Spain against its former player Neymar Jr and stating that Default of payment by Neymar Jr of the sums so demanded by his former club, the Paris Saint-Germain should assume jointly the burden of it. Anyone wondering what side Neymar’s old team-mates might be on in the ongoing post-PSG transfer legal battle did not have to wait too long as the photos of Neymar and his former team-mates, joined by Dani Alves who is also in Catalonia with Neymar, began to appear. 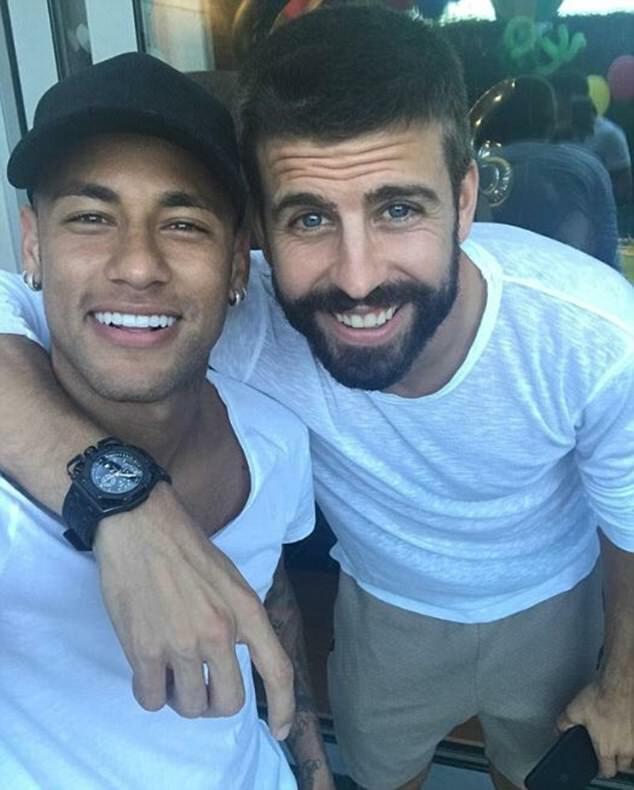 Neymar also published a photograph of himself with Pique and the message ‘He stays,’ which was commented on by former Barcelona transfer target Marco Veratti. 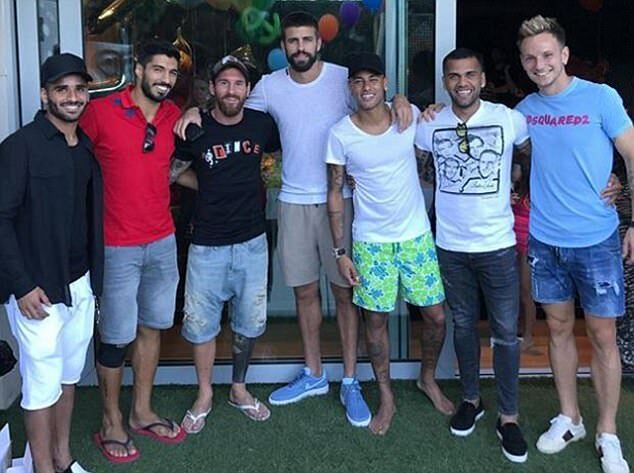 And Pique appeared in a group shot posted by Neymar that included Messi, Luis Suarez, Ivan Rakitic, Alves and the Brazilian defender Douglas. The backdrop to the Neymar controversy is Messi’s unsigned contract and fears he could follow the Brazilian out of the club as a free agent at the end of this season. Barcelona announced that Messi had agreed a new deal worth a weekly wage of £500,000 and with a buy-out clause of £264m last July. But it is still unsigned. 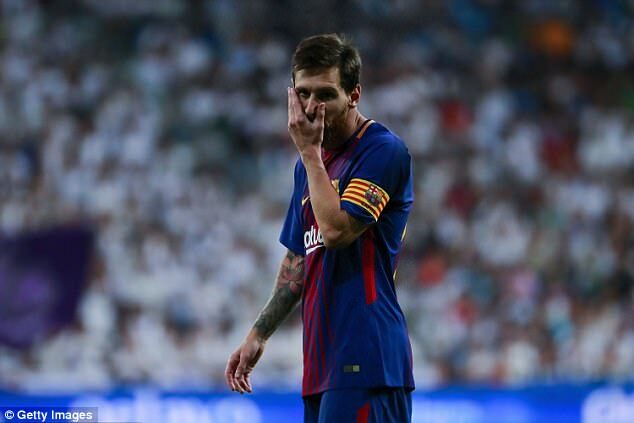 The board have contradicted themselves with Josep Bartomeu claiming it was signed late June and his colleague Jordi Mestre saying he would be very surprised if Messi did not ‘end up signing it’. There is an ongoing campaign to oust the president and his fellow directors and Messi signing now would be a stamp of approval for them. Messi wants to see how the summer finishes up and which players the board are able to bring to the club. If he is not happy then he will leave the contract extension to 2021 unsigned and wait to review his options in 2018 when he will be free to walk away or to sign a new deal under a new president. The dressing room are understood to be upset by the failure of the current board to plan for Neymar’s departure. With barely a week left of the transfer window they are still struggling to build a competitive side for this season and the team are still recovering from losing the Spanish Super Cup 5-1 to Real Madrid on aggregate.